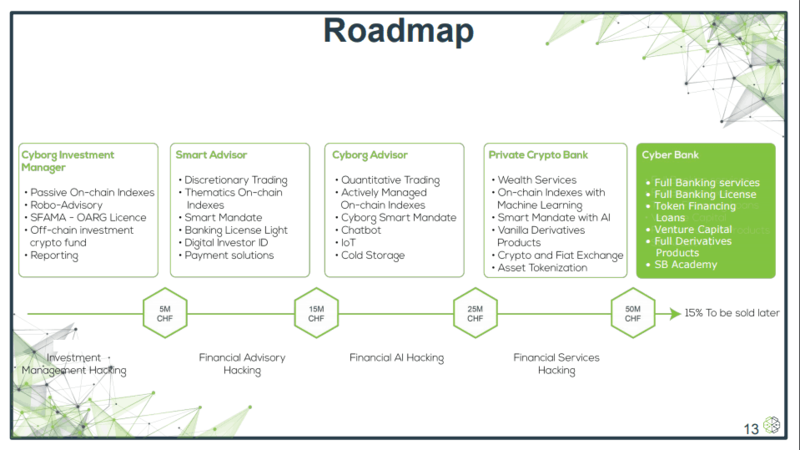 Swissborg is a bank that will offer financial advice, investment management and other financial services for cryptocurrencies. Since 2015, they are building a robo-consultant, and decided to reorient him to use crypto contests, rather than traditional finance. What is the problem that Swissborg wants to solve? Currently there is no single place where a cryptocurrency holder can receive financial services. There are many projects that offer parts of this service (for example, investment management, cold storage, tokenization of assets). Swissborg seeks to bring all these separate functions under one roof. The technical documentation has a project project map, but it is rather vague and contains only detailed information about what the project hopes to achieve in the coming years, and not how they achieve it. There is no marketing plan within the roadmap. 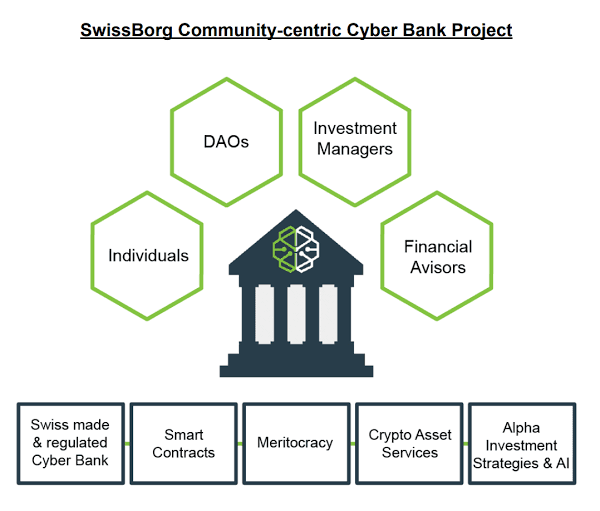 Although it seems that Swissborg is trying to sell itself as a kind of “Swiss Cryptocurrency Bank”, this leads to the conviction that it will target people with a high net worth. However, the crowd and community participation point to a different market goal. In the technical paper, I was able to find a very optimistic set of financial forecasts. I think that the numbers of 2018 look reasonable (as long as the market continues to grow). The numbers behind it depend on the success of the project. place where you can safely store and manage your crypto assets by accessing a large number of asset services: from accepting assets to derivatives and stock exchange transactions. What does this even mean? What is an “exchange place”? Technical documentation is littered with poor formatting and another bad grammar example. The white paper is better and offers more specific project details, including a roadmap and details of the minimum viable project product. This project attracted an amazing amount of money in pre-sale form ($ 20 million) mainly from Swiss private banks, family offices and angel investors. The project has several funding stages that determine which project will be created. It is unclear whether preliminary information is included in the steps. The CHSB mark allows holders to vote for the technical development of a project and a share in revenues. Revenues will be derived from fees for the transaction, as well as fees and management fees. Initially, the token will be released on the Ethereum network, before its own block chain is created, at this point the ERC-20 tokens will be replaced. This token has a funding target of 50 million Swiss francs. The current CSB gives access to a multi-page hedge fund called Cryptallion. Returns from the fund will be distributed quarterly. The CSB badge has a funding target of 350,000 airs. Competition: As stated above, there are many other projects that solve some of the problems that Swisssborg faces. The difference in volume. A focused company will most likely have a product built faster than one that looks at everything. Regulation: banks are strictly regulated, and it will be very difficult for Swissborg to operate internationally in several jurisdictions. There is nothing in the document to describe how they will deal with this problem. ICO Productivity: This ICO has a very high market capitalization, and there is a high probability that it will not attract all the money. This could ruin the project’s potential, since it would not have enough money to develop all the services it provided for in the technical document. Swissborg has a good idea. There is a need for a bank that offers all the services it plans. However, I think the team bites off more than it can chew. Most of the other projects occupy the banking ecosystem component, and these projects take time to get out of the ground. I do not understand how a team can fulfill their promises in a document without sacrificing quality. This project does not need a token. A simple old share would offer the same utility. The team clearly believes that they can raise more money by packing this project as an ICO and using high demand for cryptocurrency-based projects. While Swissbog has existed since 2015, when developing its robotic visor, the current project is not so far away. The team developed a prototype for solving their foundation, which is on Github (but not updated for more than three months). This is good progress. However, considering all the functions promised in the technical document, much remains to be done. The team has good experience and consultants and has the right to successfully implement this project. Yes, there are many competitors, but Swissborg is trying to simultaneously consider several aspects of crypto-finance. This makes Swissborg a bit unique and perhaps less subject to competition than a clean imitation project. A capitalization of + 150 million dollars is a joke. There is simply no way the project can hope to raise this big money, especially when community participation is extremely lacking. In this climate, where even $ 30 million. The US ICO is struggling to give a good profit to investors, a project with such a high market capitalization should not be considered as an investment. There is little community interest in the project and a few mentions in the media. There are few followers in the telegram and twitter, and it is unlikely that small investors have any interest. Marketing needs to improve dramatically in order for this project to be useful for investors. Short term: very bad. Due to the high market capitalization, investors have an almost guaranteed chance of losing money in the short term in this project. Neutral. In this project, like a lot. The team is good. The idea is what is needed in cryptography. However, the business plan is unclear. Marketing is unclear and low, and the long-term value of the project depends on how much the team can win in the sale of tokens. A smart mandate is an investment mandate based on Ethereum Blockchain technology. The combination of cryptography and digitization provides greater accessibility and customization. Each client will have a 100% customizable intellectual mandate, allowing transparent access to investment services and financial advisors around the world. To improve the efficiency of portfolios, a package of additional services will be available. 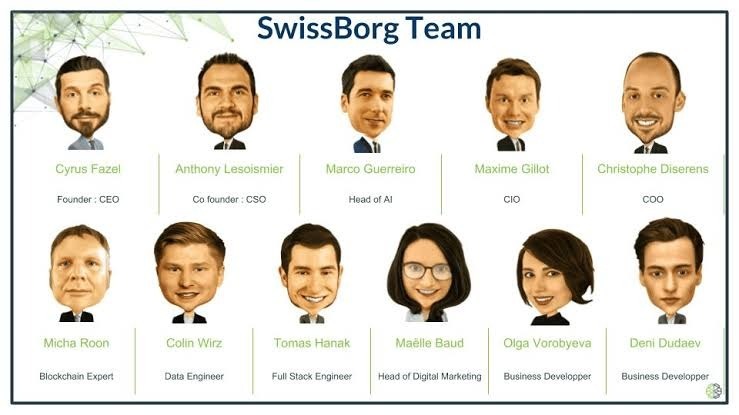 The SwissBorg Investment Management Division, consisting of experienced portfolio managers and financial consultants, provides clients with innovative asset management and capital management solutions. Their employees succeed in their successful previous experience in achieving advanced achievements in the face of severe risk management limitations using AI technologies. In addition, they made Smart Indexes to provide customers with a variety of crypto conversion. 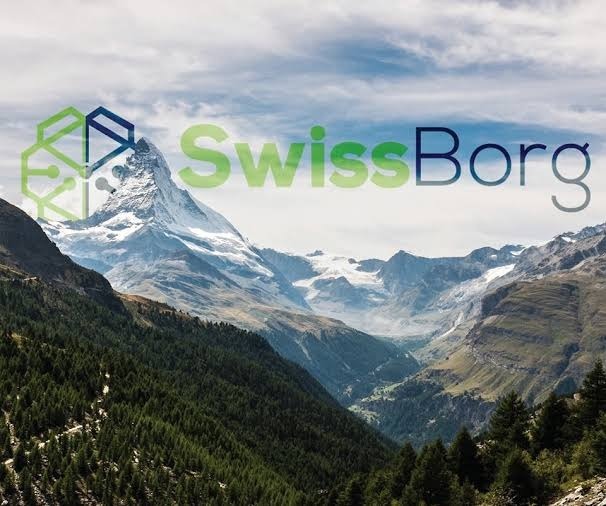 Each community member will be given the opportunity to contribute to the evolution of SwissBorg. Up to 10% of SwissBorg revenue will be fairly distributed among the participants. new ICO SwissBorg cryptocurrency market is one of many options investors can decide. The results that can be obtained from using SwissBorg will come to a number of factors, including how well the product works as a service and comfort for investment risk.